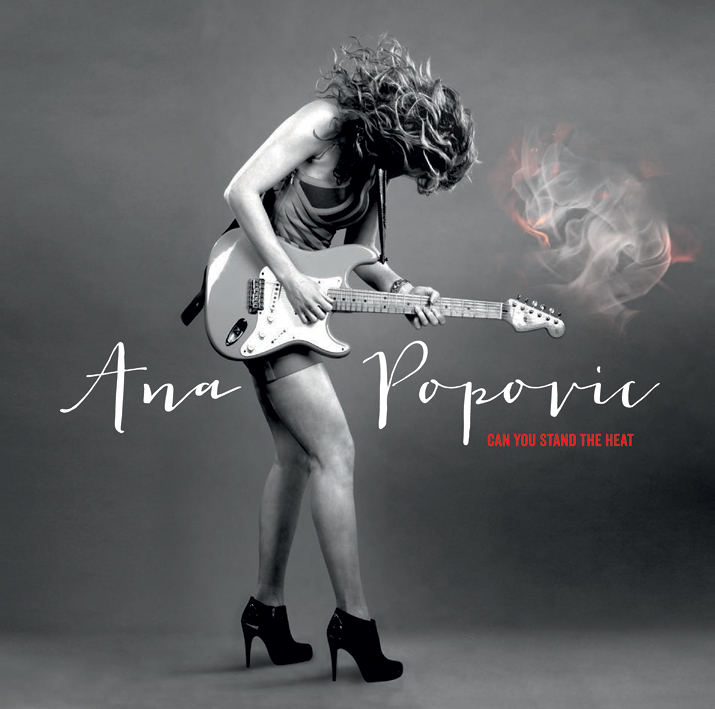 The latest release from blues rocker Ana Popovic, Can You Stand The Heat, sounds just like a classic Stax record from the 1960s or 1970s, complete with horns and a first rate Memphis band. What’s more, Popovic, who deserves the title “Queen of the Stratocasters,” doles out some rapid fire, not to mention hair-raising bursts of guitar funkiness on this, her ninth album. In 2001, the lightning fast Strat-slinger released her first album Hush, and there has been no looking back ever since. Popovic has enjoyed endorsements from Ovation guitars, Mesa Boogie amplifiers and now Fender®. Furthermore, she’s a seasoned concert tour veteran who has played with, among others, the legendary Hot Tuna, Blues Traveler and Robert Cray. In between traveling, live shows and recording sessions, Popovic has found time to start a family. Can You Stand The Heat, a 14-track set, is Popovic’s second effort on the ArtisteXclusive label. 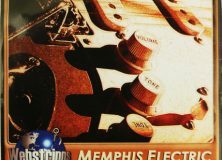 Recorded in Memphis, the album features a grouping of top notch musicians, including drummer Tony Coleman (BB King), John Williams on bass (Al Green), Harold Smith playing rhythm guitar (B.B. King), with The Bo-Keys adding the horns. Grammy Award winner Tommy Sims and Grammy nominee Lucky Peterson also lend a hand by way of special guest appearances. Next in line, “Can’t You See What You’re Doing To Me,” is a scorching buzz-saw of screaming string bends and runs which leave no doubt that Popovic is a master of the electric fretboard. She slows it down a bit, at least by Popovic standards, with “Mo’ Better Love.” What seems to be an electric piano is deftly joined with smooth backing vocals in creating a ‘70s soul vibe, prevalent throughout the entire album. 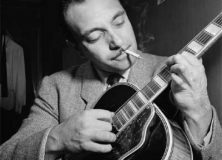 “Object Of Obsession,” Popovic’s jazzy funk infused blues blend, reveals a hint of Albert King and perhaps the playfulness of Albert Collins. 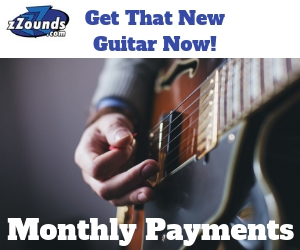 Beyond that, Coleman and William’s rhythm section holds the piece together as the guitars fly. “Boys Night Out,” a 2:32 tornado amid lightning fast bass lines and brassy horns, never lets up. In addition, Popovic’s singing has a unique edginess. On “Hot Summer Nights,” Lucky Petersen adds an R&B element. Once again, Popovic’s six-string wizardry cuts like a hot knife through butter. “Every Kind Of People,” written by Andy Fraser, is a persuasive interpretation of the 1978 mega-hit from Robert Palmer. In it, Popovic bears a slight resemblance to Joss Stone. “Ana’s Shuffle,” on the other hand, is a complete barn burner. The reigning “Ms. Fender” pulls out all the stops on this one. She runs up and down the neck on all cylinders, like B.B. King on steroids. Though the remainder of Can You Stand The Heat contains other delicious funkadelic gems, including a cover of The Rolling Stones “Rain Fell Down,” the most haunting tune is the bonus track of “Mo’ Better Love,” featuring Tommy Sims. While her picking remains impeccable, Popovic’s vocal delivery is astoundingly honest and close to the heart. The final mix of “Mo‘ Better Love,” with Sims, has a lingering percussive air which is both dramatic and beautiful. After one listen to Ana Popovic’s Can You Stand The Heat, it’s no wonder Fender® chose her to be a brand ambassador in a male dominated market. Popovic certainly stands up to the test and so does her latest album. Webstrings Review : $2.74 Per Set? What Can You Expect? A Guitar Stand That’s a Seat? Is This Real Life?